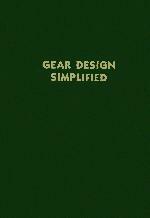 Contains a series of simply diagrammed gear-designing charts, illustrating solutions to practical problems. Presents all of the rules, formulas, and examples applying to all types of gears. Aids design engineers and manufacturers involved in the production of gears. Standard Gear Tooth Forms and Dimensions. Spur Gears- Full Depth Teeth. Spur Gears- Stub Teeth. Internal Gears. Bevel Gears- Right Angle Drives. Straight Tooth Bevel Gears- Gleason System. Bevel Gears of Parallel-Depth type. Helical or Spiral Gears. Herringbone Gears. Worm Gearing. Gearing Ratios and Speeds. Power Transmitting Capacity of Gears. Definitions of Gear Terms. Index.